The origin of this fruit salad dates back to the 19th century, as it was included in several menus from various nations. A fruit salad is a dish comprised of a variety of fruits served with a base sauce or in their own syrup. It is also served as an appetizer called a fruit cocktail. When served as a fruit cocktail it’s often prepared in an alcohol and sugar base. The fruits that form portions of a fruit salad differ from country to country. It’s dependent on the seasonal availability of the fruits and in which they are grown. 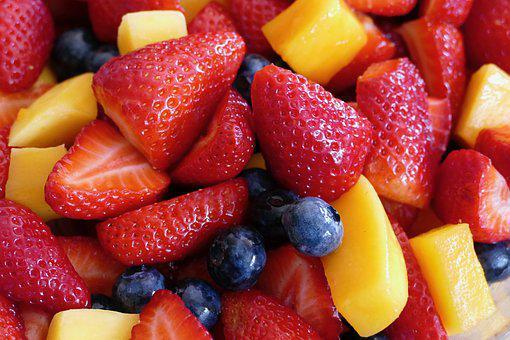 A fruit salad is a very nutritious dish that offers many vitamins and minerals required by the body. It’s a superbly refreshing dish that offers instant energy. The fruit salad has many variations as per the taste preferred in that specific country. Countries like Malaysia and Indonesia prefer to have it with a spicier taste. Additionally, there are other variations served with yogurt or a sour cream base. A very common and popular way of serving the fruit salad in India is using ice cream. Fruit salad can be prepared with both fresh and canned fruits. It has thus, evolved into an extremely popular dish fulfilling both taste and nutritional criteria. Next PostNext Do You Love To Travel…But Have Puppies?